Some guys are born great physical features. Others are gifted with charisma that people can’t help but gravitate toward. Still more possess a natural sense of humor that leave people in stitches. Then there are the annoying people like Chris Hemsworth who have all these traits in spades as well as an Australian accent. 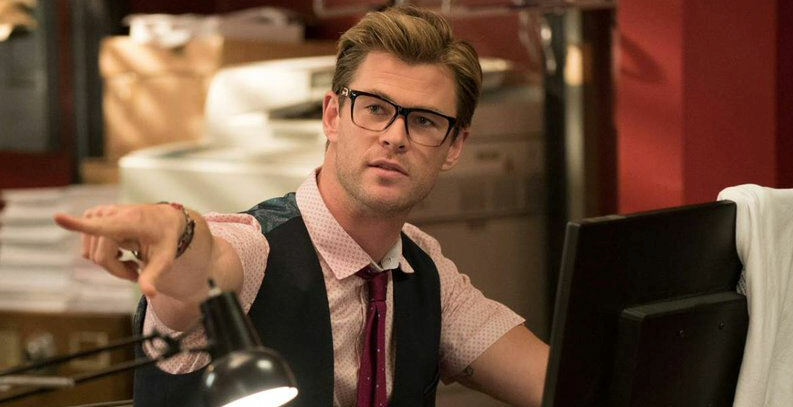 The producers behind July’s release of Ghostbusters, released a featurette celebrating National Administrative Professionals Day that featured Hemsworth’s character from the film, Kevin. Basically its two minutes of castmates gushing how wonderful Hemsworth is with a few clips from the movie thrown in. At least Lesilie Jones is kind of on my side in this. Don’t get me wrong, Hemsworth is Thor and he has my respect. But dayum man give a brother a break. Have at least one flaw. He’s tried lately by being spotted with a man-bun but that’s easily fixed. Be a bad tipper or something. Give regular guys something to counter when discussing the relative dreaminess of Hemsworth with their sweeties. Anyway, Ghostbusters hits theaters on July 15.